Remote Engine Start, Lane Departure Warning, Traction Control, Brake Assist, Four Wheel Drive, Back-Up Camera, and More! 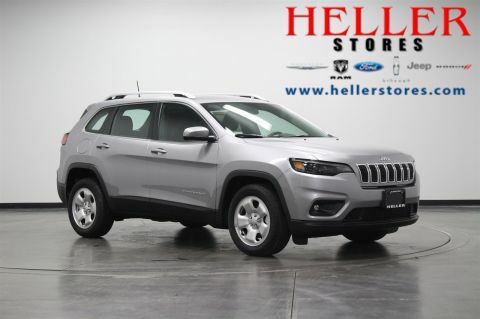 Four Wheel Drive, Heated Front Seats, Heated Steering Wheel, Keyless Entry, Keyless Start, Bluetooth Capable, and More! Tow Hooks, Remote Start, Park Assist w/ Back Up Camera, 4x4, Uconnect(R) 4 w/ Bluetooth, and MORE! 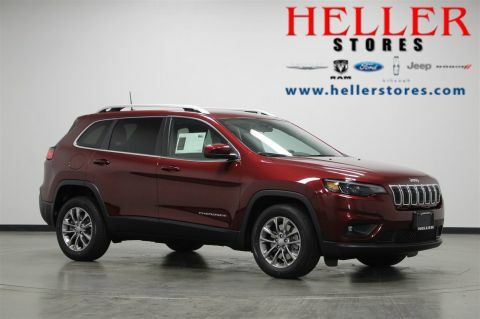 Let this New 2019 Jeep Cherokee Altitude, get your day moving in the right direction with Uconnect 4, Apple CarPlay, and Google Android Auto all on a 7-inch display. Rear Park Assist with stop, back-up camera, blind-spot monitoring, and cross-path detection helps you avoid collisions while you navigate through your day. Integrated Voice Command with Bluetooth helps you keep an eye on friends and family while your eyes are on the road. 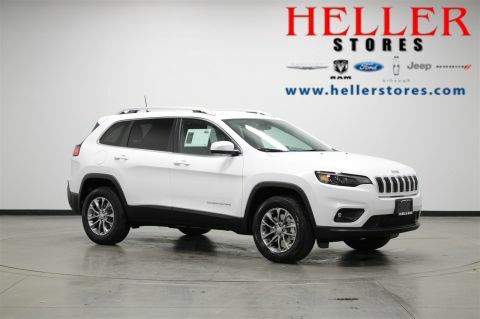 Come to Heller Motors in Pontiac, Illinois, and let us help you get yourself into this New Jeep Cherokee. 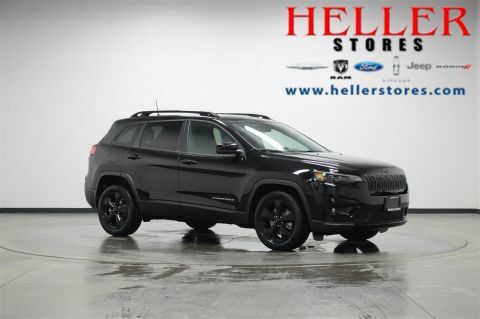 Back-Up Camera, Rear Park Assist with Stop, Keyless Go, Keyless Entry, Blind-Spot and Cross-Path Detection, Uconnect 4 with 7 Display, Apple CarPlay and Google Android Auto Capable, and MORE!! Remote Start System, Integrated Voice Command with Bluetooth, Apple CarPlay, Google Android Auto, Heated Steering Wheel, and More! Heated Front Seats, Heated Wheel, Bluetooth Connection, Back-Up Camera, and More! Keyless Entry, Apple CarPlay, Bluetooth Voice Command, Back-Up Camera, Navigation Capable, and More! 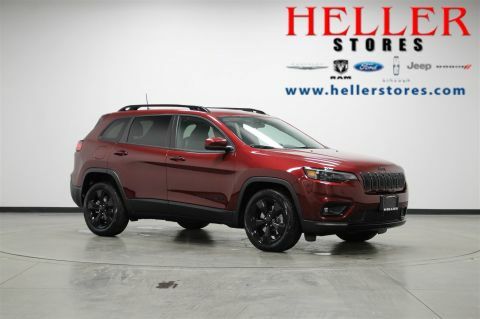 Command the road or trails in this New 2019 Jeep Cherokee Altitude. With the ParkView rear back-up camera, electronic stability control, electronic roll mitigation, and all-speed traction control; this vehicle powers through any terrain regardless of the weather. Stay connected to your favorite music and entertainment with the Uconnect 4 system featuring 7-inch display, Apple CarPlay, Google Android Auto, and integrated voice command with Bluetooth. All this and more can be yours today when you stop into Heller Motors in Pontiac, Illinois, and take your free test drive! 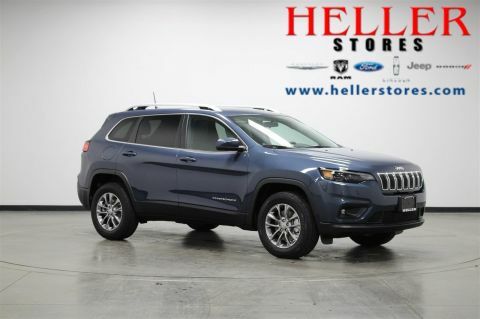 Stop into Heller Motors in Pontiac, Illinois, and let us show you how this beautiful and seductive New 2019 Jeep Cherokee Altitude can be yours today! Check out the Uconnect 4 system featuring 7-inch display, Apple CarPlay, Google Android Auto, and integrated voice command with Bluetooth that is sure to keep you and your family entertained whether you are out in the middle of nature or dropping the kids off at school. Make your drive easy and worry-free with the ParkView rear back-up camera, all-speed traction control, electronic stability control, and electronic roll mitigation. Don't wait! 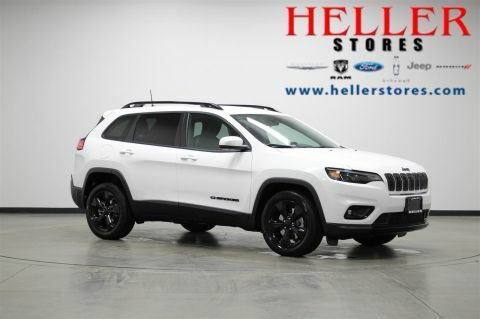 See this Jeep Cherokee today and find out how it can be parked in your garage tonight! 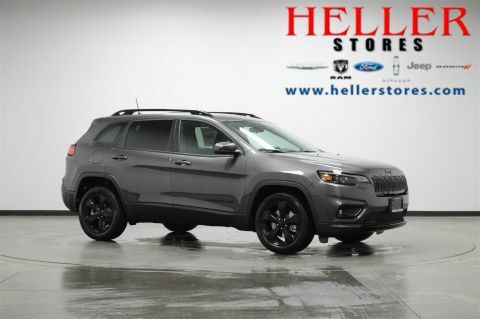 Stunning and prepared for the streets or your foray into nature, this New 2019 Jeep Cherokee Altitude is ready for anything you can throw at it. 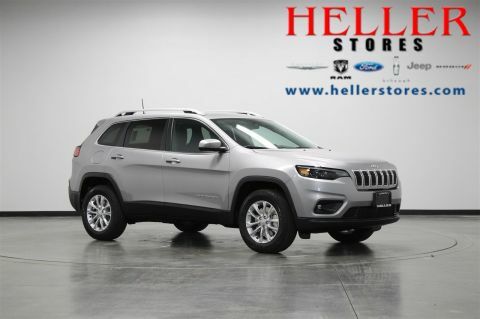 With electronic roll mitigation, electronic stability control, all-speed traction control, and ParkView rear back-up camera; you can take this vehicle anywhere you want to go and be confident that you will arrive home safely. 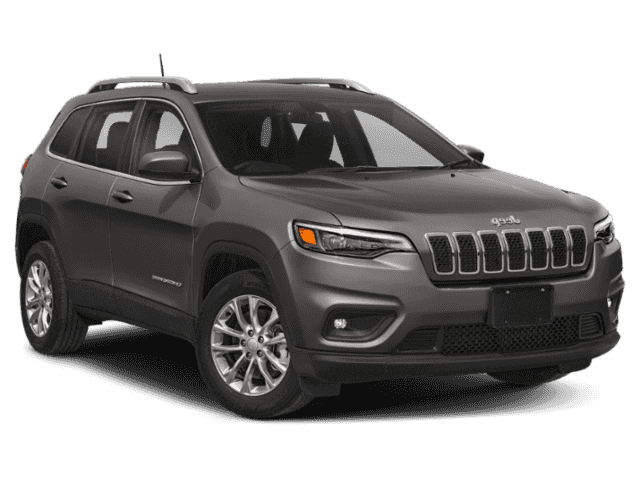 Let's not forget about the great entertainment features this Cherokee has to offer with the Uconnect 4 system including 7-inch display, Apple CarPlay, Google Android Auto, integrated voice command with Bluetooth, and media center electronics storage. Don't wait! 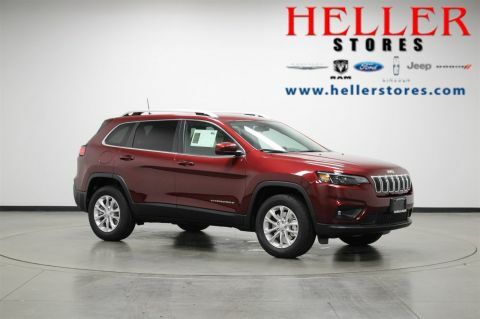 Come see us at Heller Motors in Pontiac, Illinois today to see how you can get into this bold and beautiful New Jeep Cherokee. 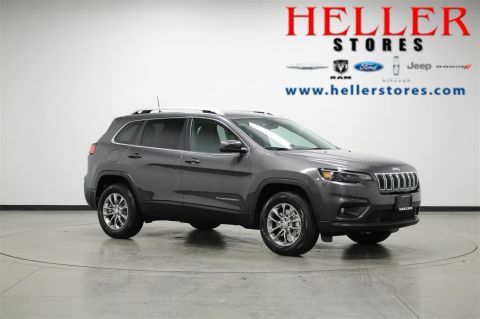 Score 31 Highway MPG and 22 City MPG with this New 2019 Jeep Cherokee Altitude! 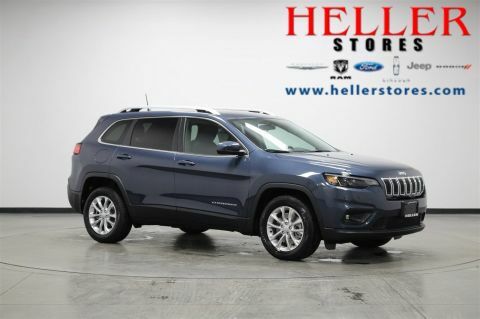 This Jeep Cherokee boasts the Uconnect 4 system featuring a 7-inch display, Apple CarPlay, Google Android Auto, and integrated voice command with Bluetooth. All speed traction control, electronic roll mitigation, and electronic stability control keep you moving forward safely, and use the ParkView rear back-up camera when you are ready to reverse. 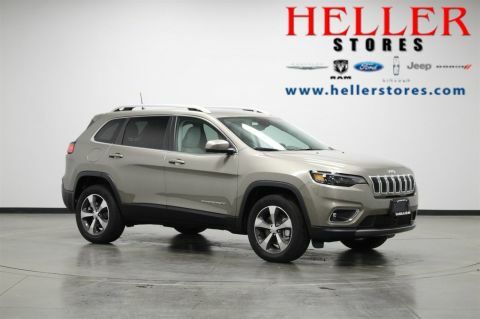 For a must-own Jeep Cherokee come see us at Heller Motors in Pontiac, Illinois. Just a hop, skip, and a jump away! Back-Up Camera, Keyless Go, Uconnect 4 with 7 Display, Apple CarPlay, Google Android Auto, and MORE!! All of your entertainment needs are just a finger tip away with Uconnect 4 in this New 2019 Jeep Cherokee Latitude Plus. Highlight your ride with infinite songs available on your device through Apple CarPlay and Google Android Auto. With Sirius XM radio and integrated voice command with Bluetooth, stay connected to the world around you while you drive. The Media Center Electronics Storage helps you keep your devices safe and handy for easy access. All of this comes with the amazing ride of a Jeep Cherokee. Come to Heller Motors in Pontiac, Illinois, for your test drive. Rear Back-Up Camera, Keyless Entry, All-Season Tires, Tire Pressure Monitoring Display, Apple CarPlay/ Android Auto, and More! Keyless Entry, Four Wheel Drive, Rear Back-Up Camera, Power Heated Mirrors, Integrated Voice Command with Bluetooth Capability, and More! 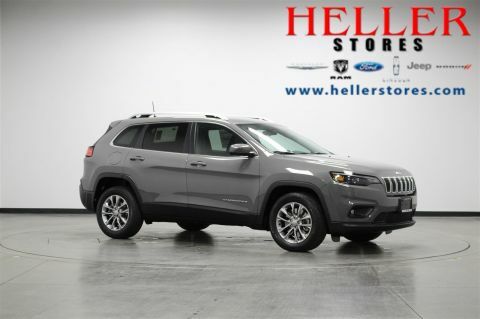 Check out this New 2019 Jeep Cherokee Latitude Plus when you schedule a test drive with us here at Heller Motors in Pontiac, Illinois. Sit in the driver's seat and stay connected to the outside world without taking your eyes off the road with the integrated voice command with Bluetooth, and stay entertained with the Uconnect 4 system including a 7-inch display featuring Apple CarPlay and Google Android Auto. Don't wait! We are just a hop, skip, and a jump away. 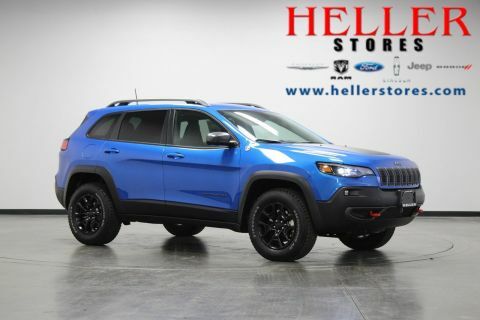 Let us help you get into this New Jeep Cherokee today at Heller Motors. ParkView(R) Rear Back Up Camera, 4x4, Uconnect(R) 4, Apple CarPlay(R)/Google Android Auto? Capable, Heated Mirrors, and MORE! FWD, Rear Back Up Camera, Side Roof Rails, SiriusXM(R) Sat Radio, and MORE! 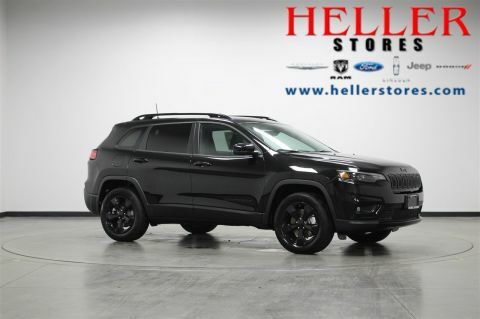 If you are looking for a rugged vehicle that can take on the outdoors yet is stylish and road-ready for your day-to-day driving, look no further than this New 2019 Jeep Cherokee Latitude. 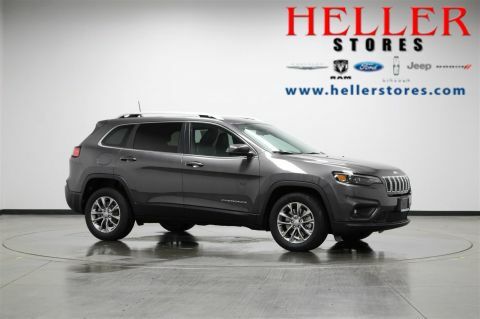 With electronic stability control, electronic roll mitigation, and all speed traction control, this Jeep Cherokee powers through the dirt and mud as well as snow and ice. The Parkview rear back-up camera makes reversing easy and worry-free. Meanwhile your mind can focus on entertainment while you drive with the Uconnect 4 system featuring a 7-inch display, Apple CarPlay, Google Android Auto, and integrated voice command with Bluetooth. 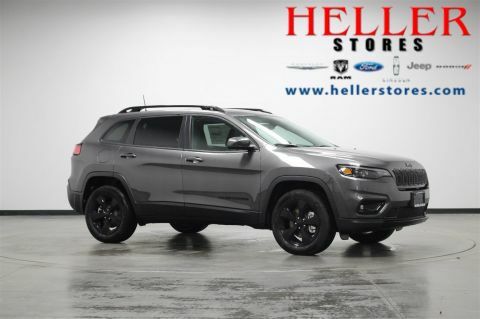 Check out this rugged and stylish vehicle today at Heller Motors in Pontiac, Illinois, and see how it can be parked in your garage tonight.